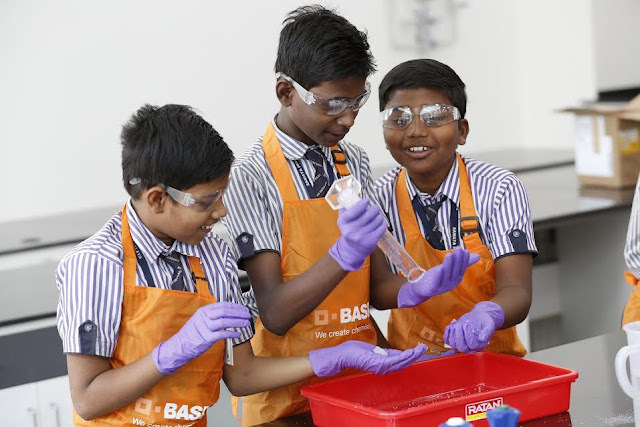 Post the inauguration of the Innovation Campus Asia Pacific in Mumbai, India, BASF brought its annual Kids’ Lab program to its new laboratories inside the Innovation Campus on Saturday. More than 240 Mumbai school children aged 6-12 learned more about the world of chemistry through simple, fun-filled experiments that highlight how chemistry plays an integral part in our everyday lives. 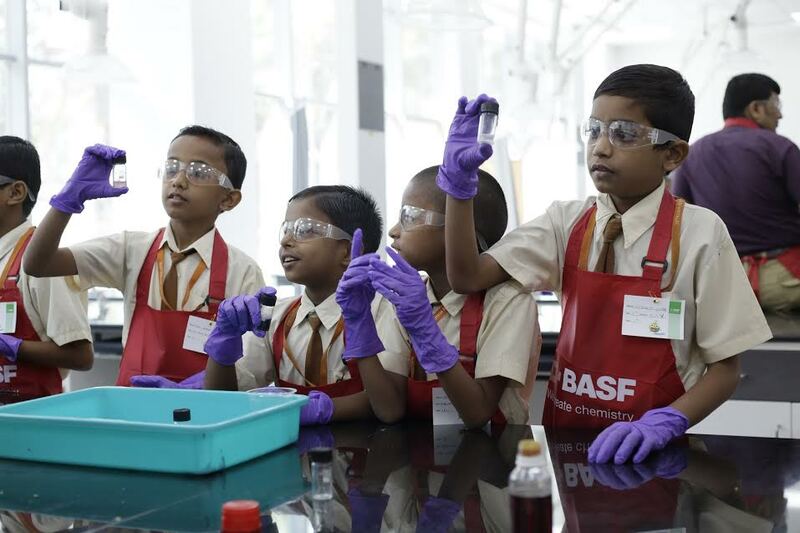 2017 marks the 20th anniversary of BASF Kids’ Lab worldwide. the benefits of clean and healthy food. Through the "Clever Foodies" experiment, children were encouraged to become mini-foodies, and to understand the intrinsic role of chemistry in food as well as the key constituents of good food habits. Education is the key to the future of our children, and it plays an important role in the development of society. With their Social Engagement Strategy, they want to open up learning opportunities and to encourage children's sense of discovery and teach good science methods and skills. This helps them to meet the challenges of tomorrow and to create a sustainable future. The BASF Kids’ Lab program is an interactive, fun and free chemistry education program designed for kids aged 6 to 12 years to discover the world of chemistry through simple and safe hands on experiments. The program has been brought to more than 30 countries across the globe, including the U.K., the U.S., Australia, Singapore, India and Japan. It was established in 1997 in Ludwigshafen, Germany, and celebrates its 20th anniversary this year. In Asia Pacific, more than 300,000 kids have participated since 2002. It was introduced to India in 2004, and to date 50,000 kids from schools across the country have learned from its fun-filled experiments. BASF has successfully partnered India’s progress for more than 125 years, with all global businesses maintaining a presence in India today, except for Oil & Gas. At the end of 2016, BASF in India had 2,356 employees at ten production sites & ten offices, as well as two R &D centers, located in Mumbai and Mangalore. In 2016, BASF registered sales of approximately €1.1 billion to customers in India. Further information is available on the Internet at www.basf.com/in. Frankfurt (BAS), London (BFA) and Zurich (BAS). Further information at www.basf.com.